With guts and gore aplenty and a whole heap of laughs, the latest season of Santa Clarita Diet has once again been a great success. The most important question we and the fans have right now is whether Netflix has renewed Santa Clarita Diet for a fourth season and when will season 4 of Santa Clarita Diet be coming to Netflix? Santa Clarita Diet is a Netflix Original horror-comedy series created by Victor Fresco. The zombie horror-comedy is a fan favorite with many falling in love between the onscreen relationship between Drew Barrymore and Timothy Olyphant. With a superb blend of comedy and horror (mostly gore), it’s not hard to see why the title has become one of the most beloved titles Netflix has to offer. After another great season, we can see a huge demand for a fourth season. Has Santa Clarita Diet been renewed for season 4? We aren’t expecting news on the renewal of Santa Clarita Diet just yet. Typically Netflix doesn’t order seasons in bulk and the same applies to Santa Clarita Diet. In previous years the announcement on renewal has arrived just over a month after the release of the latest season. With how popular the horror-comedy series has become with audiences across the globe we are fully expecting another season. Is there enough story for Santa Clarita Diet season 4? Most certainly. Once again the season ended on another cliffhanger! While some doors closed from a story standpoint that ending just blew the doors down for more fun to come in the next season. There are plenty of cliffhangers after episode 10 of Santa Clarita Diet that leads into season 4. These include the incredibly action-packed last minute or two where Mr. Ball looks to have taken control of Joel’s brain. Some have even speculated that it looks like the ball is even going to eat Joel. We won’t be going into further detail than that as we’ll save any additional spoilers for our upcoming article on what we know so far on Santa Clarita Diet season 4. How have fans reacted online to Santa Clarita Diet season 3? Season 3 has seen another fantastic reaction from subscribers. Naturally, for those who binged the series are demanding a fourth season already! Dearest @NetflixUSA I don’t mean to sound too pushy, but how much longer til Season 4 of #SantaClaritaDiet ? I can wait til tomorrow but after that it’s gonna be torture! When will Santa Clarita Diet season 4 be on Netflix? Netflix often runs a tight schedule with some release dates easier to predict than others. Assuming the series is renewed The most likely release date for Santa Clarita Diet Season 4 would be March or April 2020. The previous season has seen 2 release dates in the latter end of March, while the first aired at the end of February. 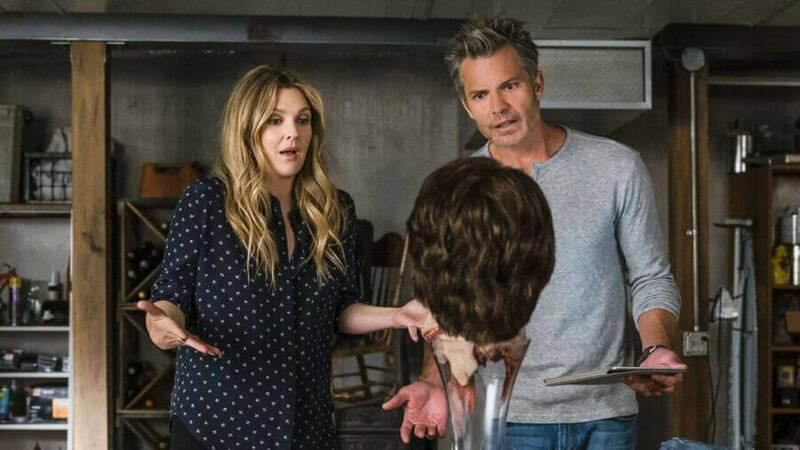 Would you like to see Santa Clarita Diet return for a fourth season? Let us know in the comments below! Next story When will Season 5 of Luther be on Netflix?